Stop by the hotel's restaurant for lunch or dinner. Dining is also available at the coffee shop/café, and room service (during limited hours) is provided. Cooked-to-order breakfasts are available daily from 7 AM to 9 AM for a fee. Enjoy a meal at the restaurant or snacks in the coffee shop/café. The resort also offers room service (during limited hours). A complimentary cooked-to-order breakfast is served daily from 7 AM to 8:30 AM. With a stay at Phuoc Son Hotel, you'll be centrally located in Da Lat, within a 10-minute drive of Da Lat Market and Dalat Flower Gardens. 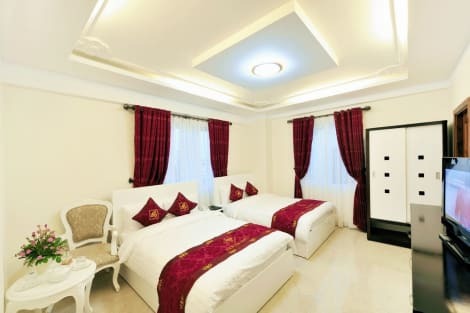 This hotel is 3.9 mi (6.3 km) from Tuyen Lam Lake and 0.8 mi (1.2 km) from Cathedral of Da Lat. With a stay at Nice Dream Dalat Hotel in Da Lat, you'll be a 2-minute drive from Da Lat Market and 8 minutes from Dalat Flower Gardens. 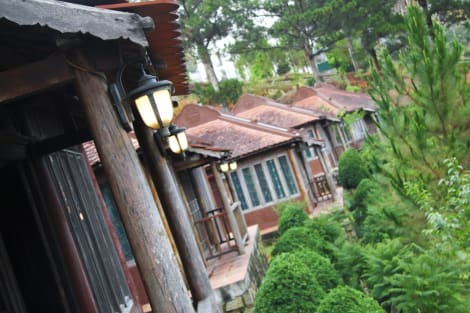 This hotel is 4 mi (6.5 km) from Tuyen Lam Lake and 0.6 mi (1 km) from Cathedral of Da Lat. With a stay at Sammy Dalat Hotel, you'll be centrally located in Da Lat, within a 10-minute drive of Da Lat Market and Dalat Flower Gardens. This hotel is 3.2 mi (5.1 km) from Tuyen Lam Lake and 0.1 mi (0.2 km) from Crazy House. Featured amenities include a computer station, complimentary newspapers in the lobby, and dry cleaning/laundry services. A shuttle from the hotel to the airport is provided for a surcharge (available 24 hours), and free valet parking is available onsite. 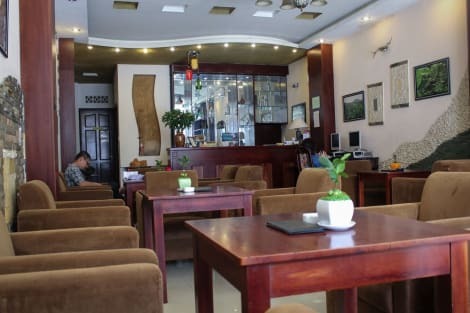 lastminute.com has a fantastic range of hotels in Dalat, with everything from cheap hotels to luxurious five star accommodation available. We like to live up to our last minute name so remember you can book any one of our excellent Dalat hotels up until midnight and stay the same night.